It’s about that time a year — time to give and feel absolutely great about it! I have a new found love and her name is marron. well, brown to be precise. I can’t get enough of it lately. 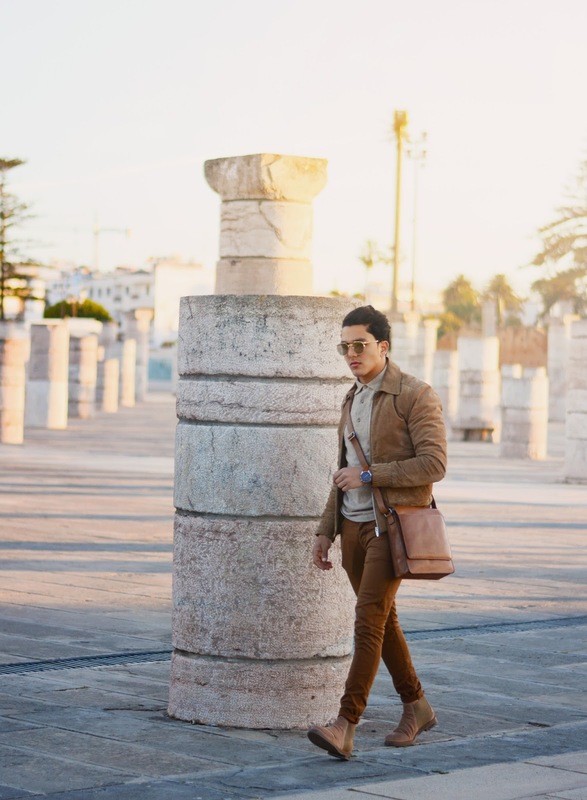 I love pairing brown with beige and brown accessories, it’s so addictive. Just to not look like a sahara, I add in other neutral, desaturated hues to the mix like light beige and orange. I should be getting brighter and more colorful. For this project, I partnered up again with an amazing accessories company PICARD. Their forte are handbags for men and women. 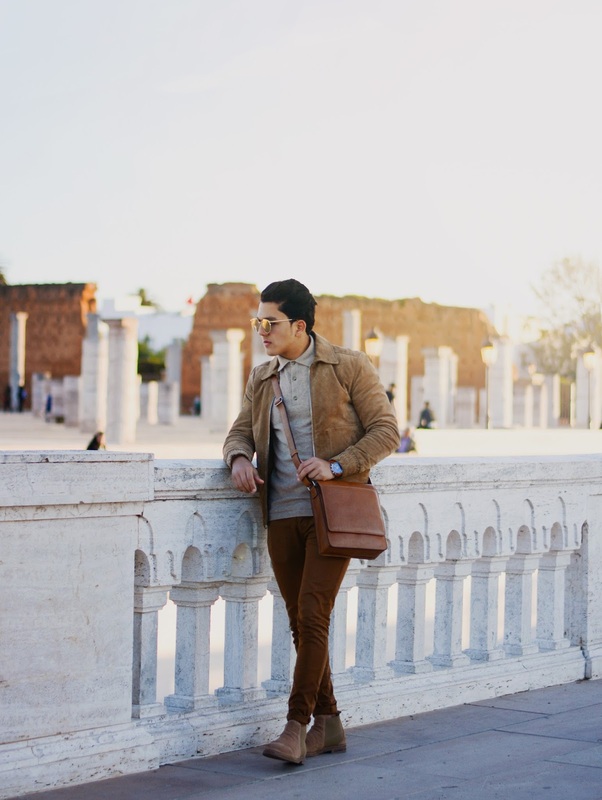 There are a lot of things to look for when you want to purchase a messenger bag and all these things are in my PICARD of course it's the most brand that i appreciate because of the big quality that they made in any bag they produce ! 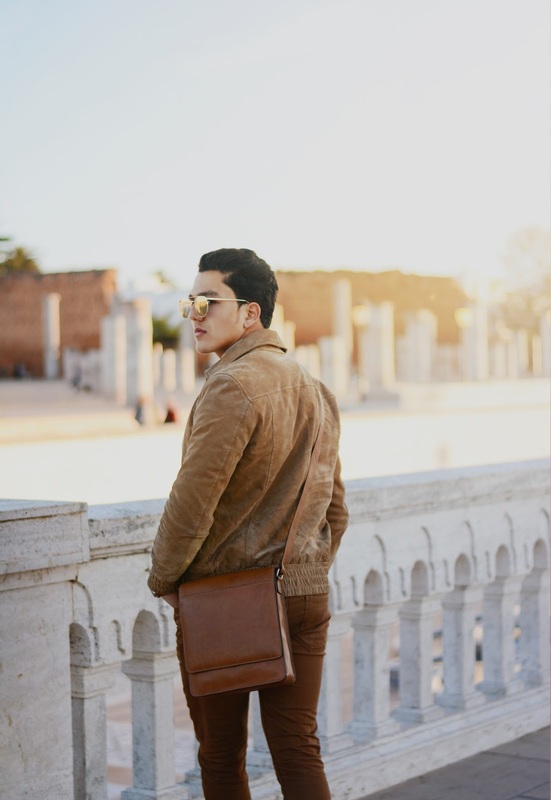 A messenger bag should be functional, smart and timeless It’s also worth being aware of the different types of messenger bag available, a choice that will be influenced largely by what you use it for. 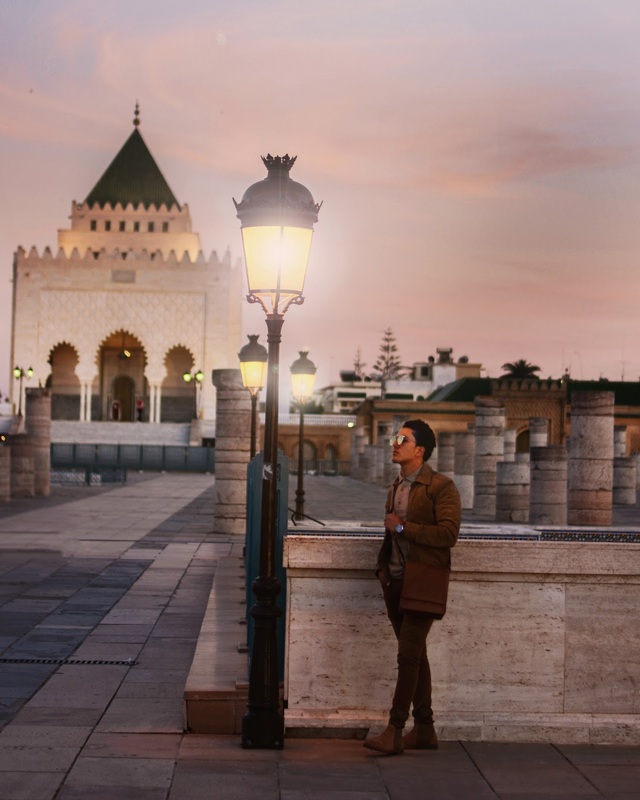 If you want a messenger that’ll last, You’ll have the choice of the color I shot above, or to get it in Black or Brown leather design, and don’t forget to check your bottom: a messenger with a reinforced base and studs offers increased durability and therefore longevity. 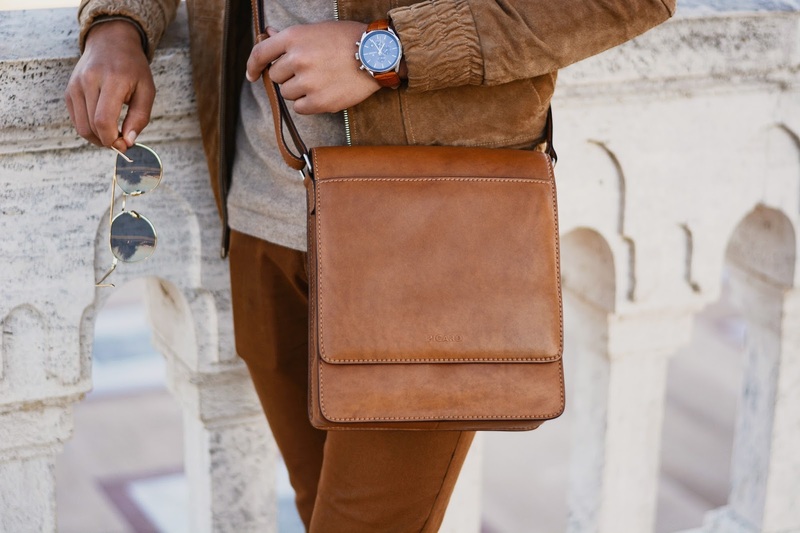 I’m absolutely loving the bag, the design is marvelous, and I especially like the large pocket on the side, which give it a little bit of an edge over other messenger bags, aside from superior quality of leather and construction. 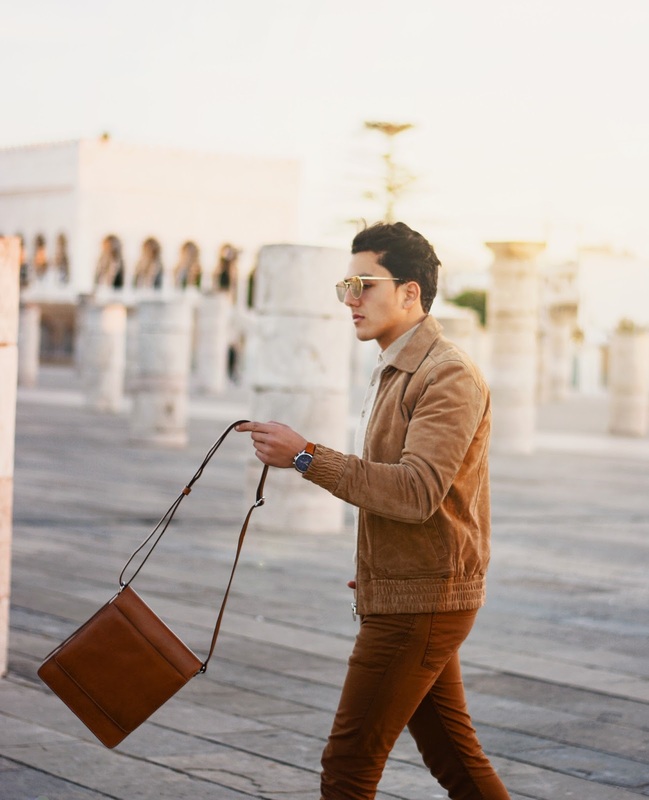 It’s a great bag for your daily needs, whether you have to carry around a little more or not so much, it’ll look great and likely fit it all in there. You can find the bag here & other similar leather pieces here. Keep your eyes peeled this week, new posts galore.